The Gulf monarchy’s donation comes as part of a campaign to aid Greater Houston’s long-term recovery from Harvey. 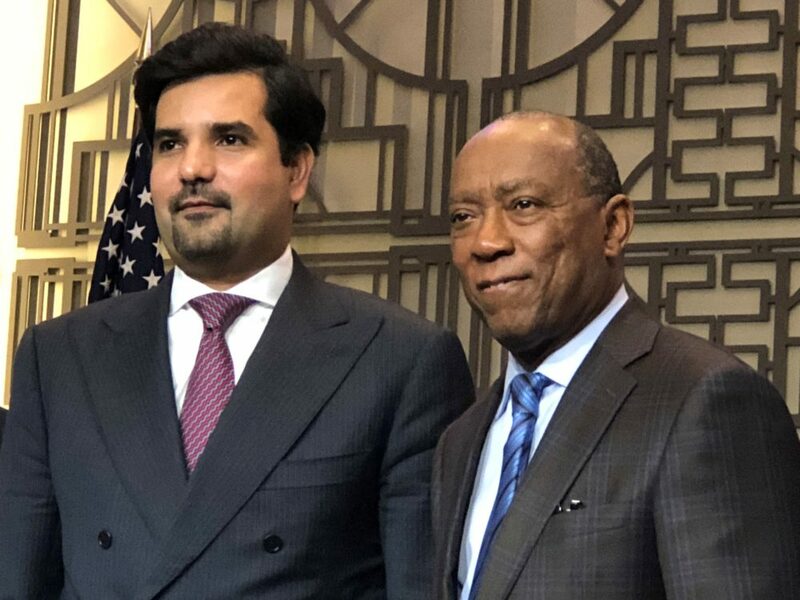 Sheikh Meshal bin Hamad Al-Thani, Qatar’s Ambassador to the U.S., and Houston Mayor Sylvester Turner. The State of Qatar is giving Houston $2.5 million to help reduce homelessness. The gift comes from the $30 million Qatar Harvey Fund, which the Gulf monarchy set up last year. 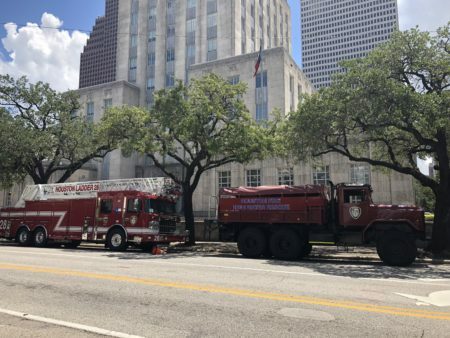 “Nearly 20 percent of unsheltered homeless individuals and half of those who are homeless for the first time are homeless because of Hurricane Harvey,” said Mayor Sylvester Turner, announcing the donation at City Hall. 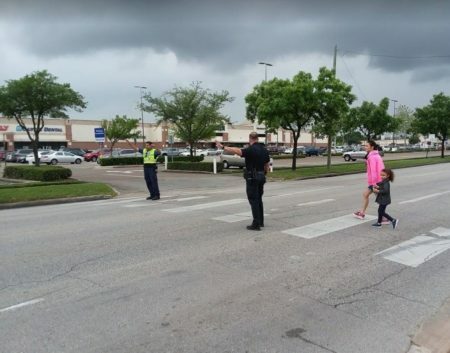 Turner said the donation will underwrite relief efforts in the five pilot neighborhoods of Houston’s Complete Communities initiative: Acres Homes, Gulfton, Near Northside, Second Ward, and Third Ward. This marks Qatar’s second donation to the region this week, following another $2.5 million gift to help reopen the historic Riverside General Hospital. The effort comes as part of a trend of supporting long-term disaster recovery projects. 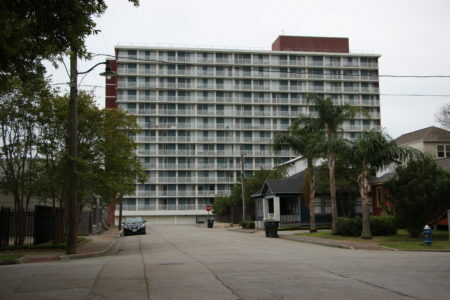 Qatar set up a similar fund in 2005 after Hurricane Katrina. NOTE: The Qatar Harvey Fund’s board includes Dr. Renu Khator, president of the University of Houston. UH holds the license for Houston Public Media.